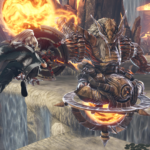 3rd-strike.com | GOD EATER 3 – coming to Switch! 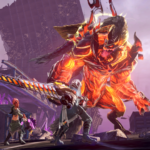 Good news for the GOD EATER fans and Nintendo Switch owners! GOD EATER 3 is coming to the Switch. 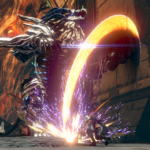 In GOD EATER 3 you’ll fight against Aragami which are powerful beasts that are destroying the world. A God Eater is somebody who is able to use a God Arc weapon to destroy the Aragami, and therefore they are also the last hope of humanity. Players will make their own character and select a God Arc weapon from a big arsenal. They will be able to change techniques as well as adjust their fighting style. 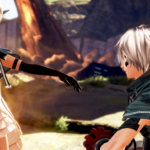 GOD EATER 3 can be played alone with NPC’s, online with a group of eight players or locally with 3 different Switch consoles. GOD EATER will be available on the 12th of July for the Nintendo Switch. 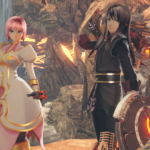 As a pre-order bonus, you’ll be able to get two exclusive outfits for Estelle and Yuri from Tales of Vesperia.